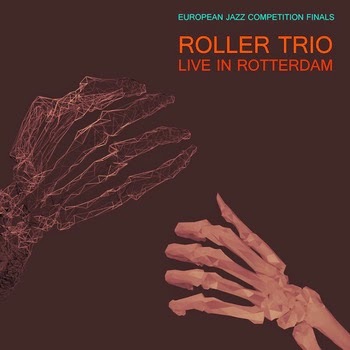 Roller Trio have released a new recording, Live In Rotterdam, documenting their appearance in the 2014 finals of the European Jazz Competition earlier this month. One week prior to the competition, saxophonist James Mainwaring broke his right hand. Instead of forfeiting the competition, the band spent four days writing an entirely new set of material that would allow James to play with one hand. These five tracks are now available for free or pay-what-you-want on the group's Bandcamp page. "...the imagination is unleashed by constraints. You break out of the box by stepping into shackles."